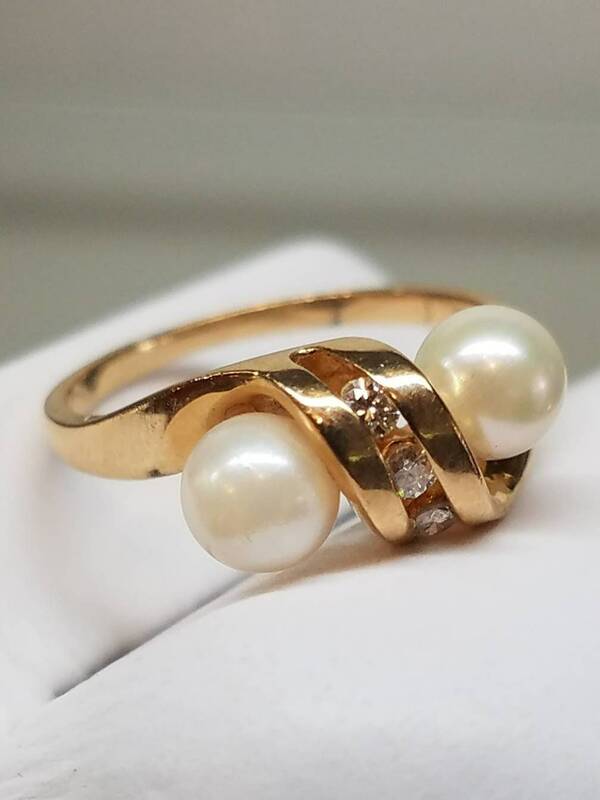 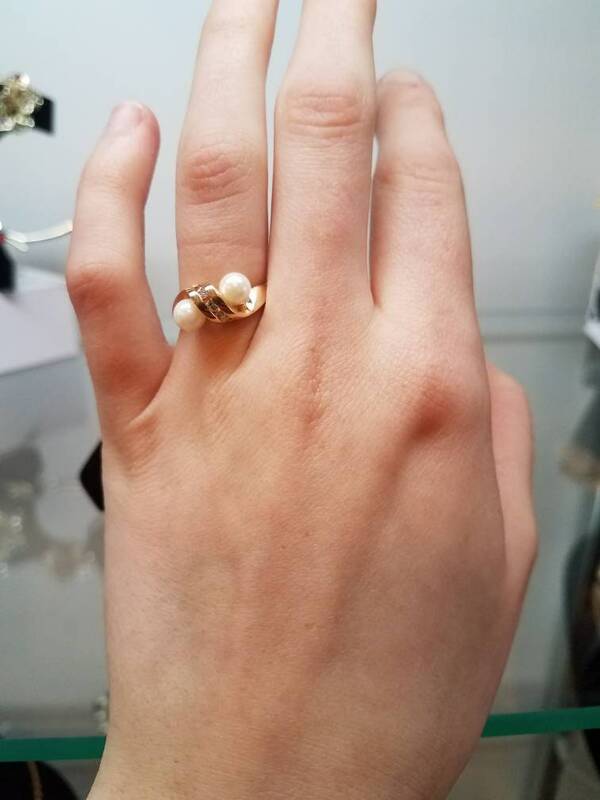 This lovely ring is 14K yellow gold, with three diamonds separating two pearls. 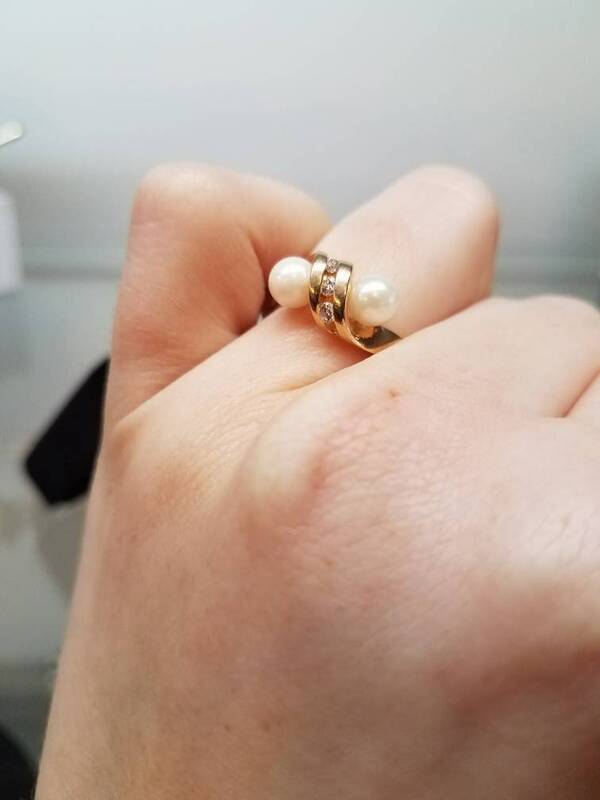 The inside of the band is hallmarked "c. 1983". 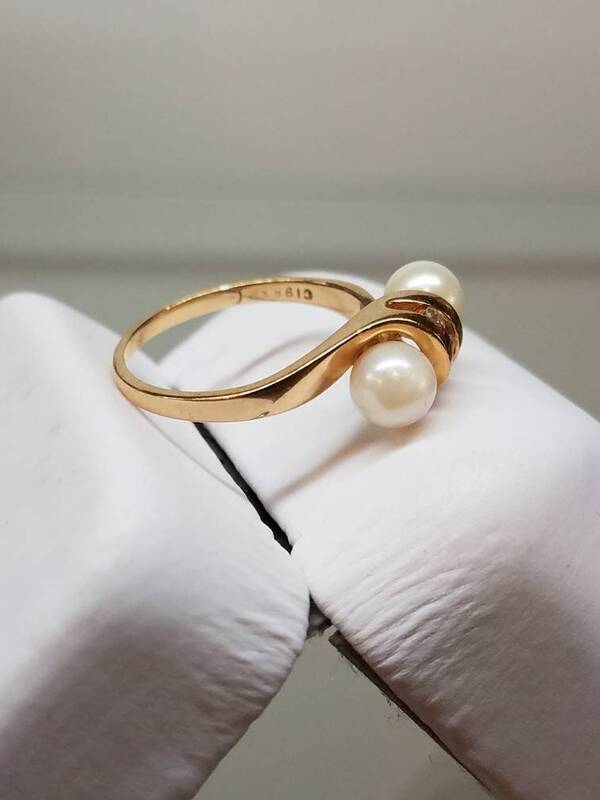 This ring is a size 6.5 and is in excellent condition.